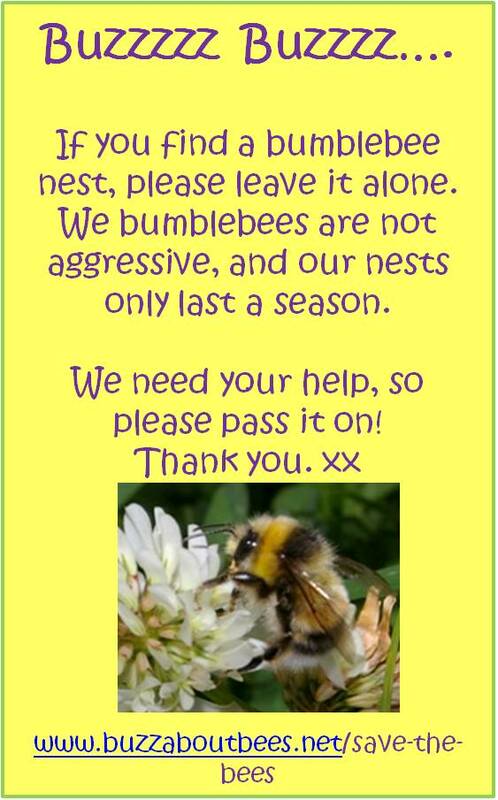 Help Me Get Rid Of Bees! If you want to get rid of bees, best ask some-one who knows a lot about bees! One of the things they’ll be able to tell you, is whether you really do need to take action. There are different types of bees, and this needs to be taken into account, as well as the individual scenario. HOW TO GET RID OF CARPENTER BEES AND PREVENT FURTHER NESTS. But PLEASE read the following notes first, and certainly before you call in pest control. Bees are going through a hard time - yet we need them. But you can still be humane AND SAVE MONEY! In addition, please note that I now have lots of advice for all kinds of situations - from bees in the attic to bees in the compost heap - please see this link: HELP WITH BEES. Very often, it is not necessary to remove bees at all. For example, many nests only last a short while, swarms will often move on by themselves - or beekeepers may help you, and most bees represent little or practically no threat in terms of stings, unless you provoke them. Also, let's not over-hype the threat of having bees nearby. More often than not, they are a blessing, and we simply need to change our attitudes towards them. Potentially, you could save your time, your money, yet keep yourself and others safe from stings AND get to marvel at the wonderful workings of nature. At the end of the day, bees fly around in gardens and public spaces without bothering us - and a nest might not be such a problem. That said, there are times when it cannot be helped, and for very difficult and valid reasons, we need to take action. If you have to get rid of bees do it as humanely as possible. As stated before, bees are having a very difficult time, and just because you happen to see bees in your yard, this doesn’t mean they are everywhere! If you need to remove honey bees, call a beekeeper to assist you. If appropriate, they may be able to use a smoker to calm the bees, then move them safely to a place that is more appropriate for them. They’ll also ensure no honeycomb is left behind – otherwise, this could attract more bees, or even wasps, once the original honey bees have moved on. There’s more information about this in the link below. If you need to move a bumblebee nest, the same applies: follow the guidance provided on the link, as it’s very comprehensive. If you need to get rid of bees, do it safely. Keep your distance from the bees if you are calling in assistance, and keep pets and children away. Bees are rarely aggressive unless provoked. To get rid of honey bees, as explained above, you should call a beekeeper. Bumblebees rarely sting, but information is provided on the link that will help to ensure you avoid aggravating them. Also, see the links in the right hand margin of this page. The links below provide useful background information about the bees themselves, bee swarms and bee nests. Well, it’s a good idea to know a little about your subject - this is what will help you to determine the best action to take. For example, many people mistake bees for wasps, and some solitary bees for honey bees. Similarly, some people are unsure whether they have swarming bees, or a nest. The information will help you to identify your situation, but don’t worry, I won’t drown you in information! Many people are keen to get rid of bees, and think immediately "I need to call the bee exterminators - get me that number!". Others rush out to buy "bee pesticides". Don't do that. First of all, read the information in the links. If you need help to get rid of bees, you'll find out, and it may be free. Of course, you may read a dozen or so web sites written by pest control companies who are keen to take your money, and will happily get rid of bees for you - and this may involve destroying the bees. Other companies will refuse to kill bees and will attempt to save them, perhaps by relocating the nest. Others may even advise you to leave them alone. If you decide to seek assistance from a 'Pest Control Company', you'll still have to pay them, whether they save the bees or harm them. In any event, take no notice of exaggerated dangers. Take a little time to get better informed and save yourself unnecessary hassle, and cost - and as I said, let’s try to help the bees too, as they are facing serious problems currently. Go from 'Get Rid Of Bees' to this page specifically dealing with honey bee swarms (other types of bees do not swarm). However, do first take the time to take a quick look at this general, useful information about swarming bees. Go from 'Get Rid Of Bees' to this page about moving a bumblebee nest. Visit this this general Q&A, that will help you identify the type of nest you have, or whether it's a swarm. This will help you decide what to do next. Go from 'Get Rid Of Bees' to this page "Carpenter Bee Control". Here you'll find information about how to get rid of carpenter bees, but better still, how to help prevent future carpenter bee nests. Go from 'Get Rid Of Bees' to this page about bee stings. I get frustrated when the dangers of bees are exaggerated. Did you know, in the USA you are more likely to die of flu, lightening strike?